Buying bare units over kit versions is a cost-effective way to expand your range of tools while staying loyal to this legendary American brand. 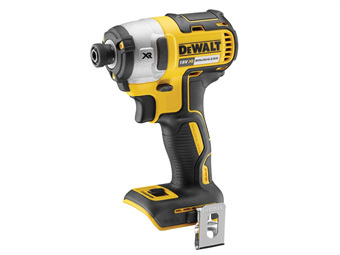 If you already have the battery, case and charger, browse through our extensive selection of Dewalt XR Bare Units Machines and equip yourself with the tools you need to tackle all kinds of jobs, indoor and out. Our range of cordless XR bare units includes jigsaws, angle grinders, circular saws, impact wrenches, nailers, multi-tool, and more. All bare units come with a great range of features and deliver the performance you’ve come to expect from this tried and trusted make.